Get your message across with tons of style! 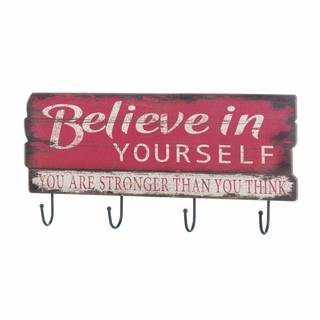 This metal message board has a weathered red finish and hangs from a rustic rope, and the interior chalk board is ready for your words of wisdom. This item weighs 2 lbs and measures 25¼” x 2″ x 10″ high; 22½” with hanging rope. Metal. Chalk not included. 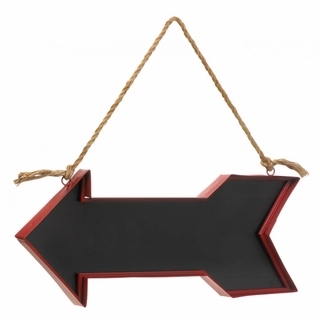 This sign measures 19¾” x 2″ x 9¼” high and is made of wood and iron. 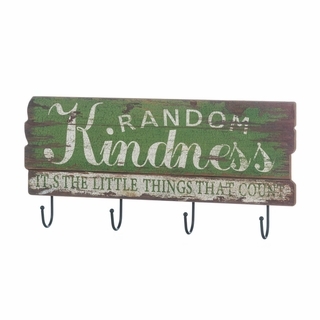 Make your home sweet home a little more organized and a lot more stylish with this charming wall accessory! 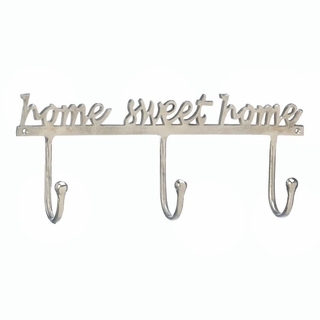 Made from aluminum, this wall-mounted organizer features three hooks and “home sweet home” in pretty script above. This hook weighs 1 lb and measures 19.2″ x 3.25″ x 7.5″. Made of aluminum. This hook weighs 1.4 lbs and measures 19¾” x 2″ x 9¼” high. It is made of wood and iron. A great reminder to live every day to the fullest. 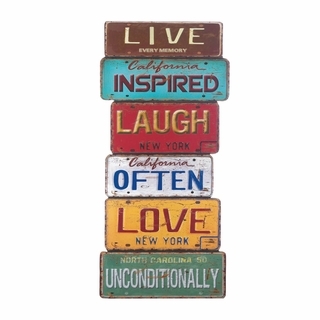 This collection of weathered plates are made from wood and feature colorful finishes and a reminder to live inspired, laugh often, and love unconditionally. This sign weighs 6.6 lbs and measures 15¾” x ½” x 33¾” high. It is made of wood. This entry was posted in Home Decor, New Seasonal & Special Occasions and tagged Decor, Home Decor, Organize, Wall Art. Beautiful Baker’s Twine – We have it!